After the huge launch of their Instablur foundation primer earlier this year, The Body Shop have recently introduced a version specifically for the eyes. I’ve been on the hunt for a new eyeshadow primer for the past couple of months, as my budget-friendly MUA primer hasn’t prevented creasing during the summer. 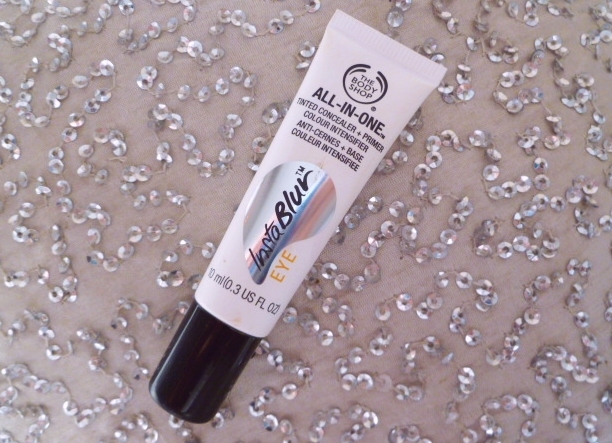 I stumbled across the advert for The Body Shop’s All in One Instablur Eye in one of their discount emails, and knowing that the original Instablur was one of their bestsellers I thought I may as well give it a try. “Our first eye blur that instantly perfects the appearance of the eye area. Use alone to smooth and conceal imperfections. Use under eyeshadow as a primer to enhance and prolong wear. The product squeezes out of the tube to reveal a yellowy-tinted mousse-like formula, which rubs in softly and smoothly. I apply this over my eyelid and underneath my eye before applying my usual concealer. 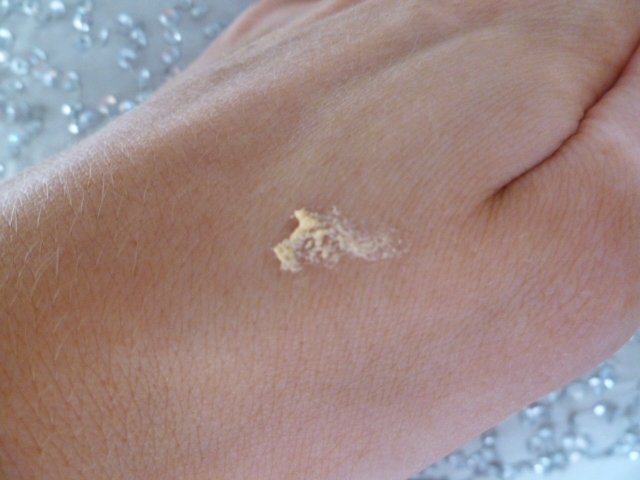 It doesn’t feel tacky or sticky, even though on first appearance it can look bitty before applying. It doesn’t give me half of the coverage I need as a concealer, mainly due to my hereditary dark circles, although I feel it’s still too lighter coverage for that purpose in general. It glides over the skin beautifully, and a little goes a long way. One pea-sized squeeze can cover both of my eyelids. I then go in with the rest of my base to let the primer set, before applying my eyeshadow. I’ve recently been using a Rimmel Scandaleyes Shadow Stick in Bad Girl Bronze over my lids as a base colour, and is of a creamy consistency. Since using the Instablur Eye I’ve found the colour not to crease at all. Even after a long day at work. Amazing! I’m not sure if the primer enhances eyeshadow vibrancy, as I’m yet to try a colour that packs a punch. But overall, it does the job I wanted it to do, and I can say goodbye to eyeshadow creasing. Have you tried the Instablur range from The Body Shop? I just picked one of these up the other day. Haven’t got around to using it yet but I will give it a go after reading this post. Cheers!